NATO HQ, Brussels. In his frist speech to NATO allies US Defense Secretary Gen.Mattis defined the strategy towards Russia, reminiscent of the end of Cold War, and hopes for better world everyone had. However in 2014 Russia used force to “alter the borders of one of the sovereign neighbors”, he reminded, also mentionng some allies, without naming, who prefferd to ignore this new reality. Gen.Mattis put forward a dual track approach, seeking boath engagement with Russia, fighting common threat of international terrorism, but the same time preserving NATO strength, if case there are further breaches of international laws and obligations. The experts consider the dual track as a window of opportunity to engage Russia in defeating ISIL, and international terrorism, one of the beacons of the president’s Trump election campaign, who considered to revise he sanctions policy towards Russia in case they proof to be useful to the US in empowering security, and diminishing the terrorist threat. 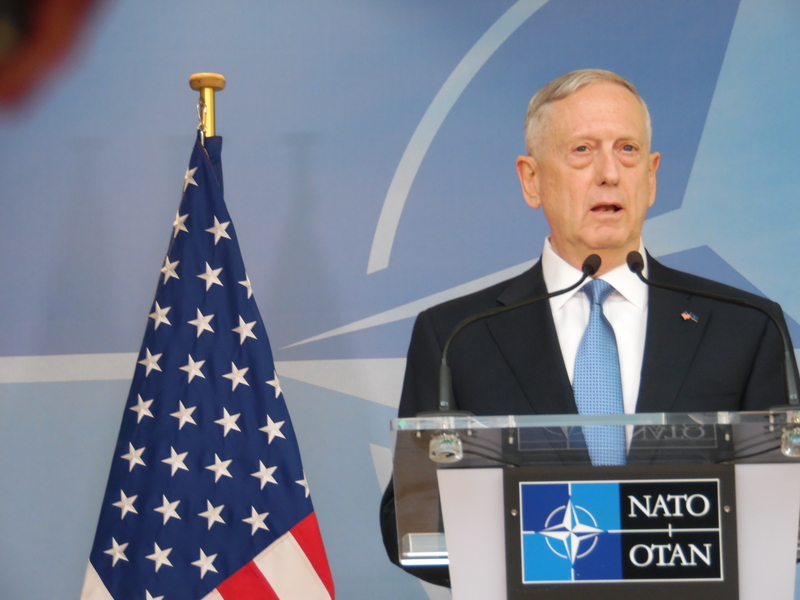 In his highly political speech Gen.Mattis showed his skill as a statesman and a diplomat, drawing the strategy towards Russia, beneficial for the “democratic islands of stablity” the Alliance is determined to preserve, without compromising the noble purpose of defending ideas upon which NATO was founded. Through his speech Gen.Mattis underlined the freedom, common heritage and civilization to reamian the common values to stay a corestone of the Transatlantic relations.